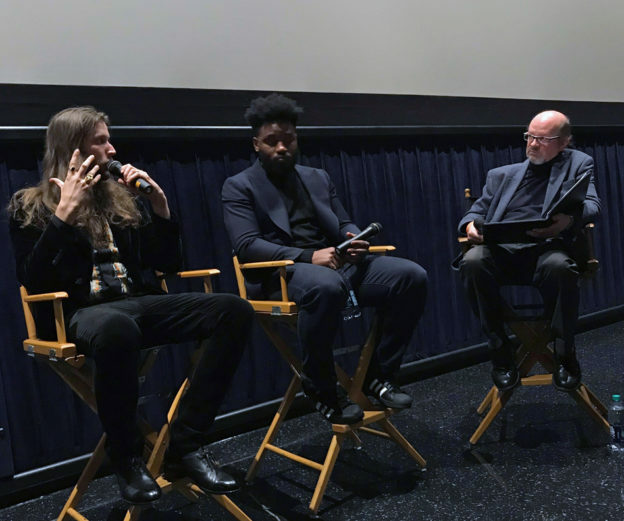 On the eve of their triple Golden Globe nominations for Best Picture, Best Original Score and Best Song, Black Panther director Ryan Coogler, composer Ludwig Goransson and songwriter-producer Sounwave sat down with me for an in-depth conversation about their work on the biggest-grossing film of 2018. The occasion was a screening, co-sponsored by Disney and radio station KPCC, of Black Panther at Regal Cinemas at L.A. Live. It was great fun, and the attentive audience was a nice plus.